Ivan Pyatkov studies at Children’s music school in the town of Karasuk, with the professor Alexander Punko. He is a laureate of numerous competitions including the Fanfare of Siberia International Competition of Winds and Percussion Performers (1st degree), the Power of Art all-Russian festival of youth’s arts (Novosibirsk, Grand prix), the all-Russian Winds and Percussion Performers Competition named after M. Borisov (Asbest, Grand prix), the VI Open Interregional Winds and Percussion Performers Competition named after I. Bobrovskiy (Grand prix), the VI Viva, Roma International contest-festival of children’s and youth’s art (Grand prix), the Trumpets of the Black Sea all-Russian contest-festival of children’s wind bands (the Artek international children’s center, the Crimea). Upon the invitation from Vladislav Lavrik, artistic administrator of the VIII Brass days International music festival of brass art, Ivan took part in the concert held at the Tchaikovsky Moscow State Conservatory. 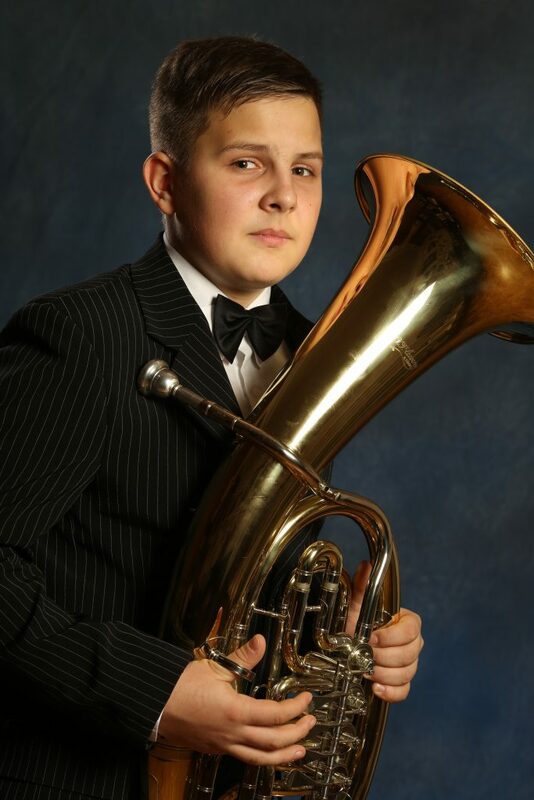 In 2018 he was awarded the EMCY 1st Prize at the International Television Contest for Young Musicians ‘Nutcracker’. If you are interested in working with Ivan, please get in touch with the EMCY Office.